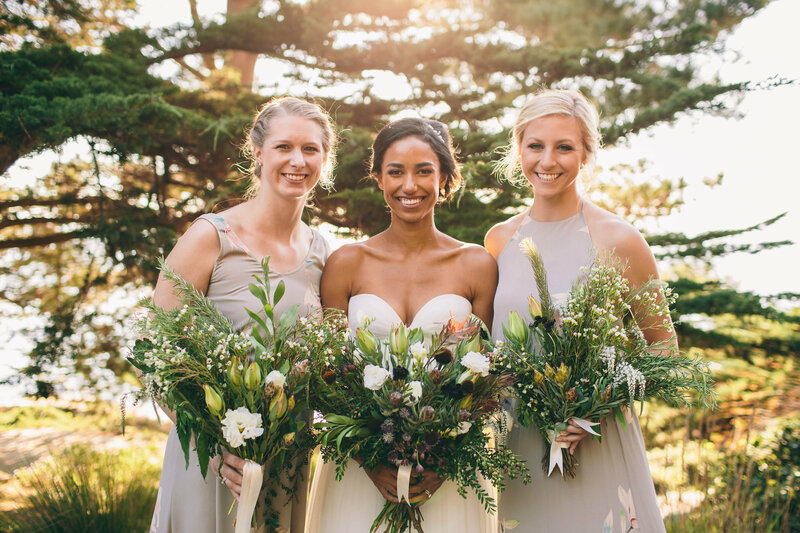 We teamed up with Andrea last year and are so lucky to have found such incredible talent in Big Sur! 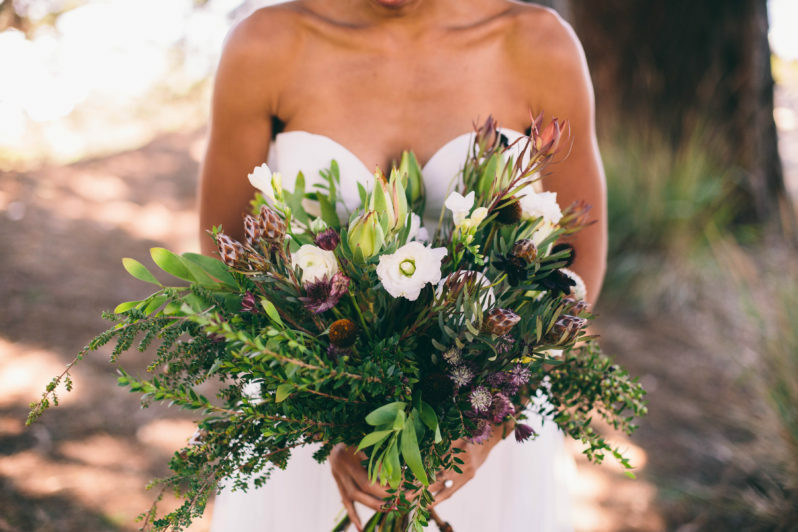 Living on a big ranch, Andrea is able to grow and forages for much of her flowers, while handpicking rare blooms at the San Francisco flower mart for every one of her weddings. 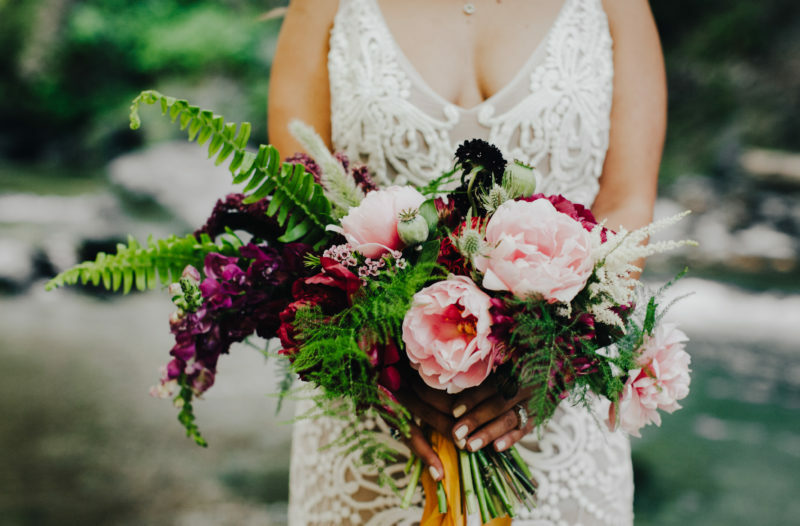 With a unique, wild and natural style that fits each of her clients style and the landscape perfectly. 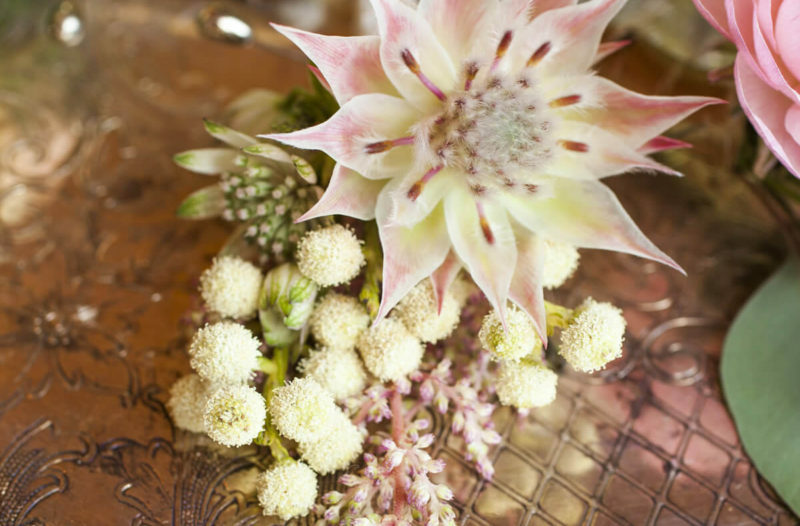 Using many flowers, succulents and greenery grown locally, we are able keep the costs down on flowers for you. 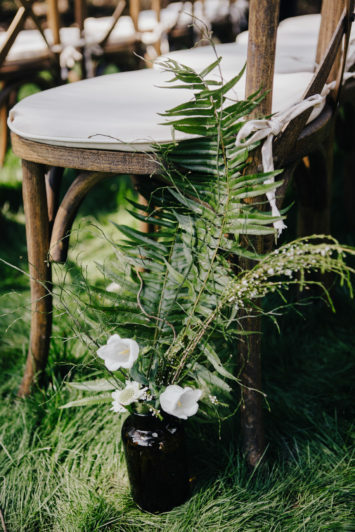 We have an amazing inventory of floral vessels, from antique bottles to brasses to colored glass to handmade ceramic vases, so you can have a lush and artistic table, without having to spend a fortune on centerpiece arrangements. 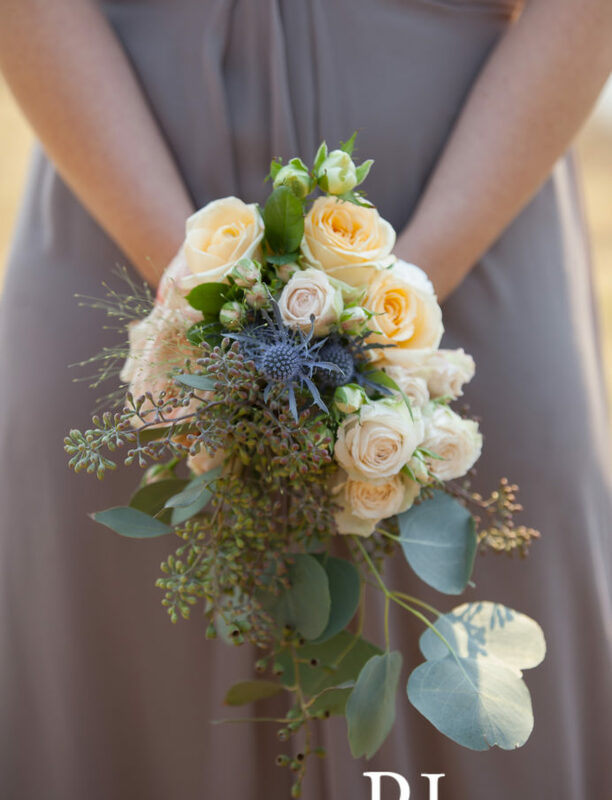 Take a look at our floral page and portfolio/blog for more information and photos with Andrea’s work. Andrea comes to us with a background as a fine art painter. 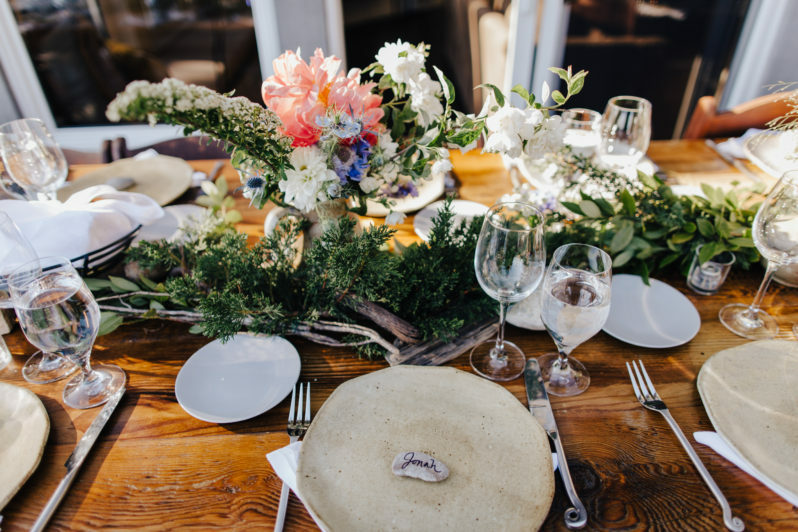 She also has years of experience in restaurant management, stage design, florals, festival hospitality decor and crafting. 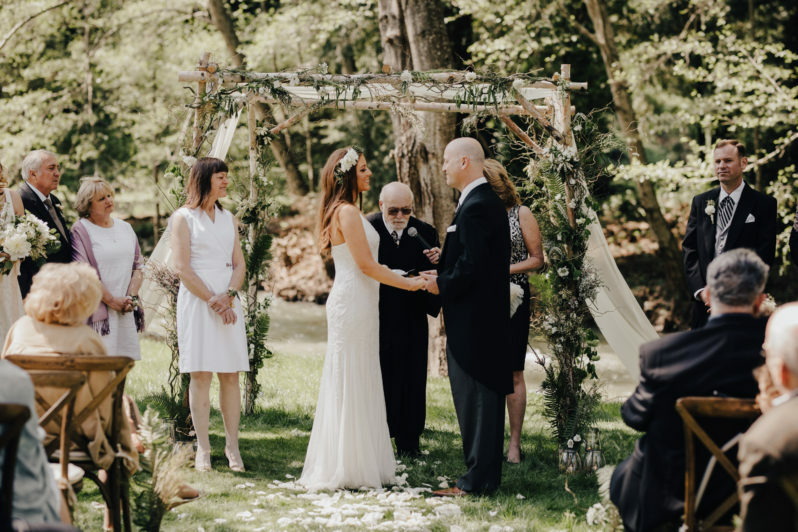 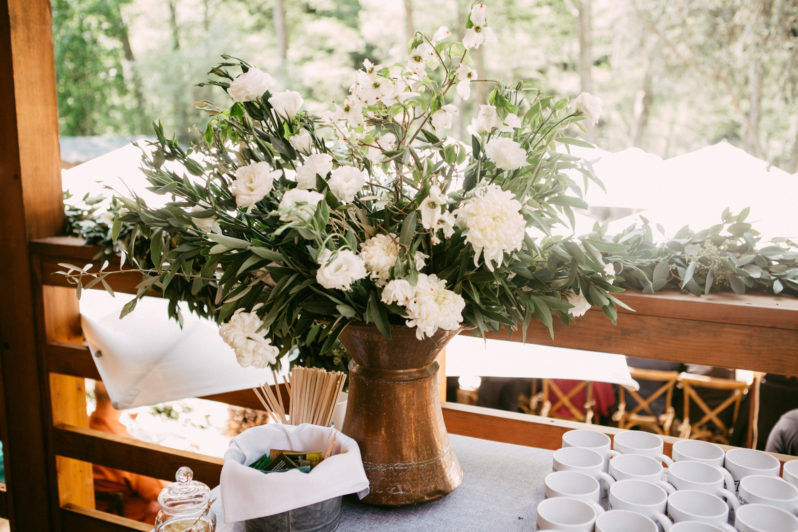 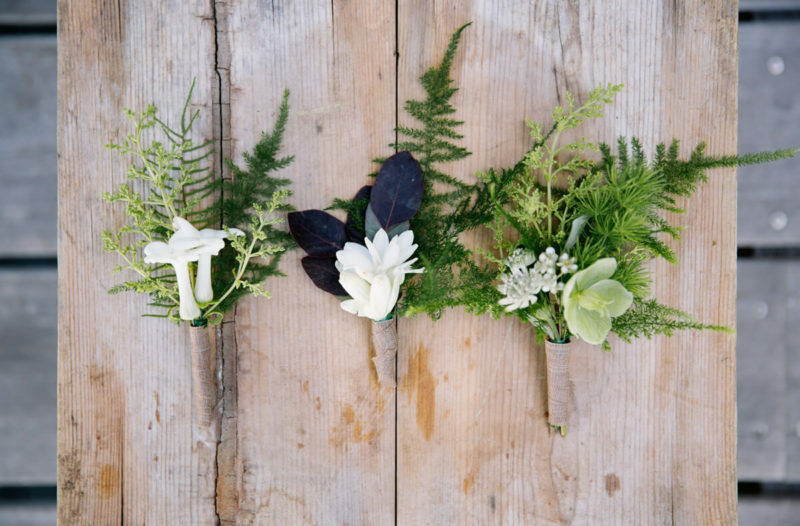 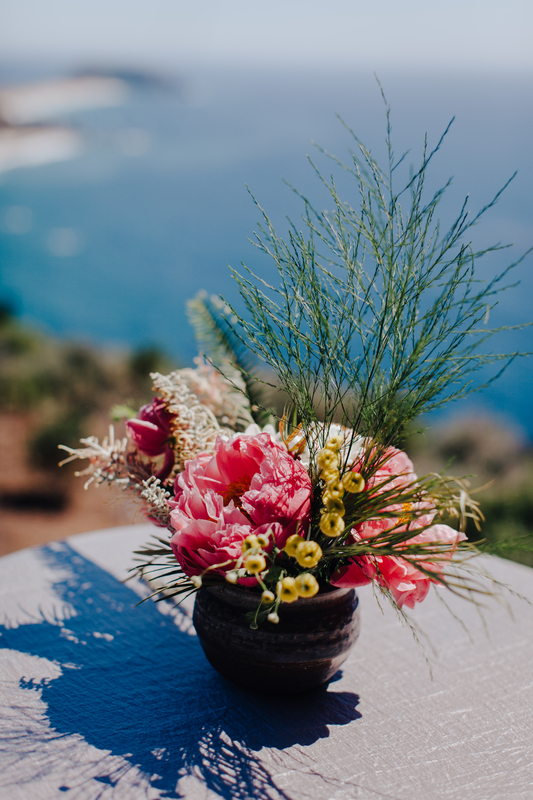 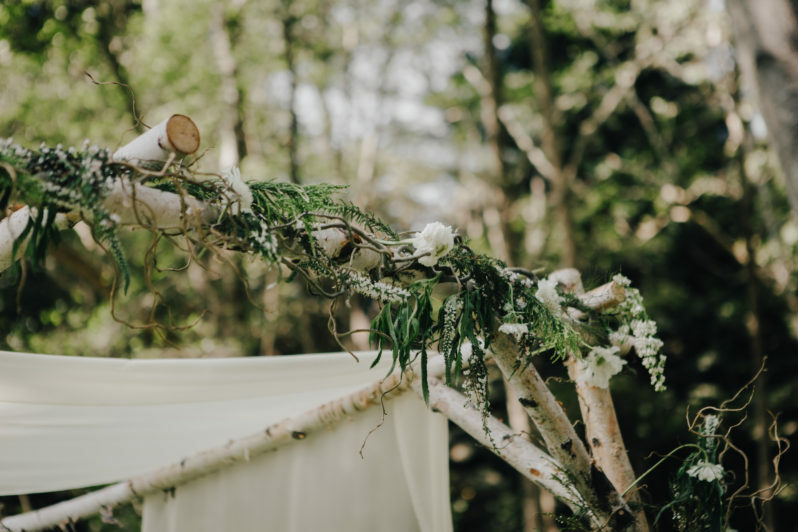 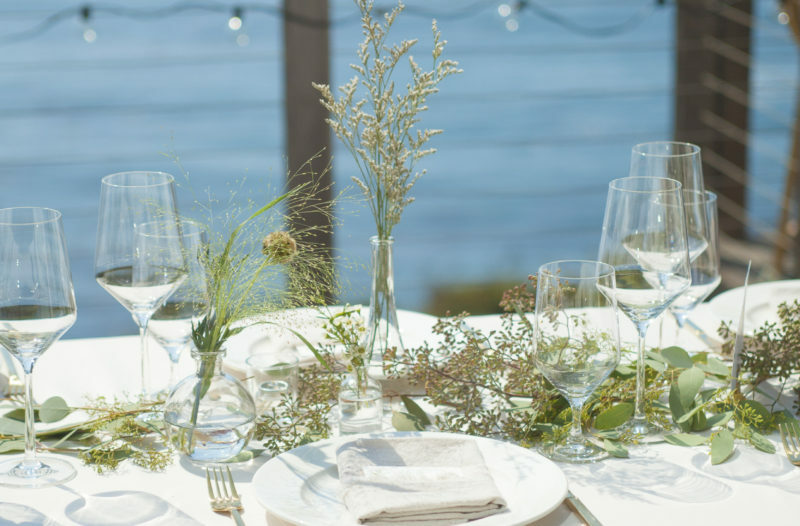 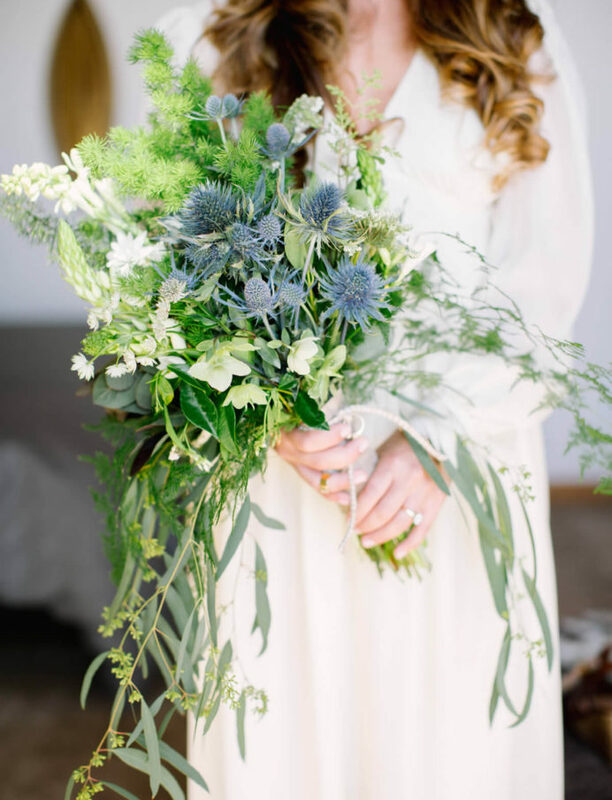 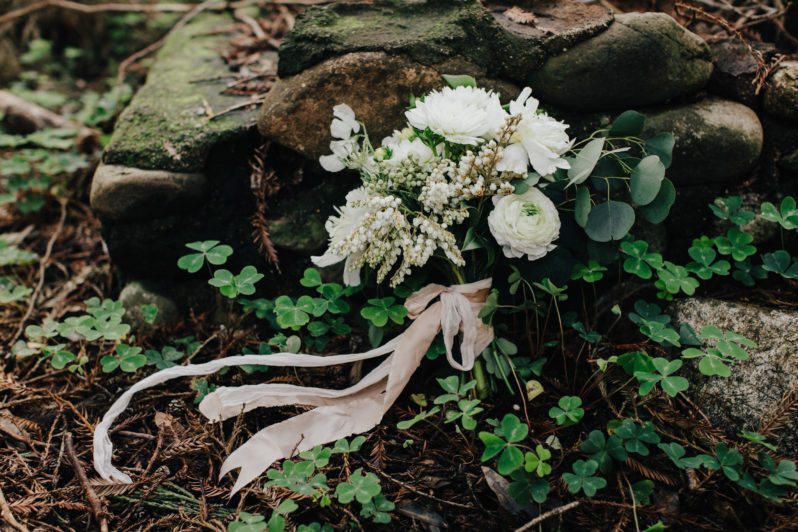 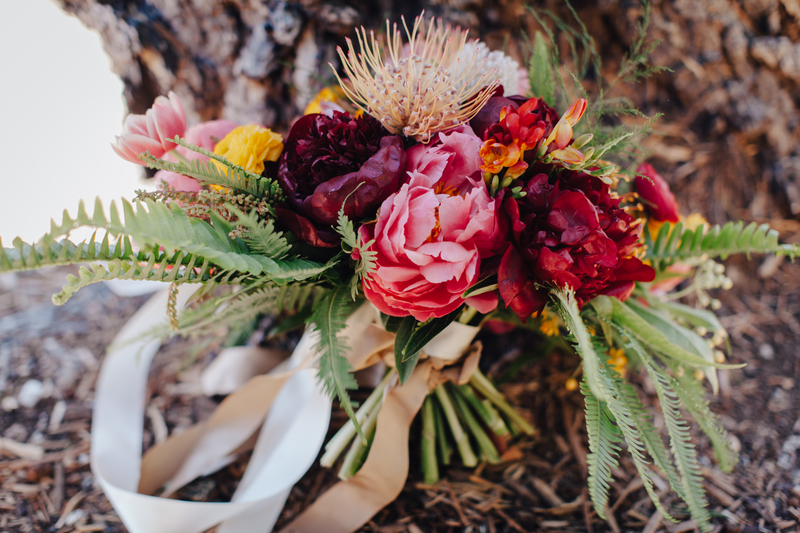 Her floral style is incredibly inspired and she loves working with rare blooms and gorgeous greenery. 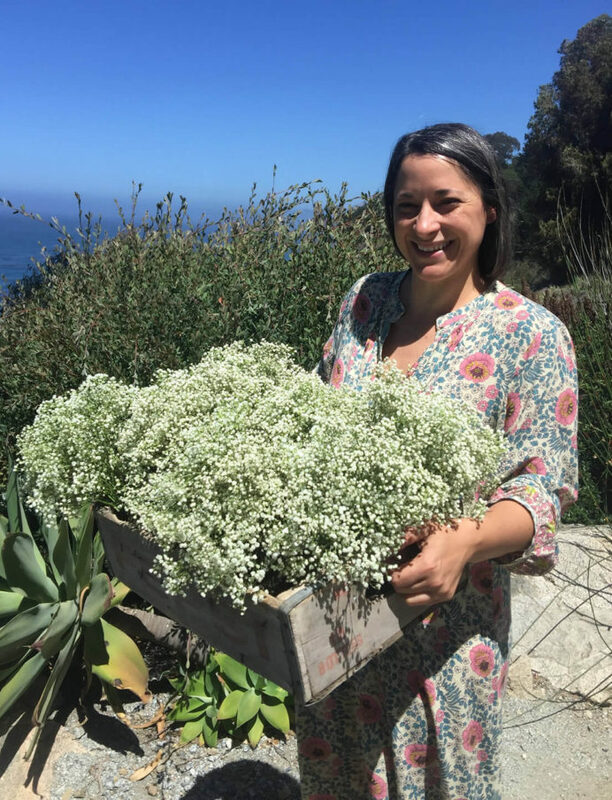 Andrea is from New York but has been living in Big Sur for the past 10 years on a ranch amongst many animals, with her baby boy Jericho. 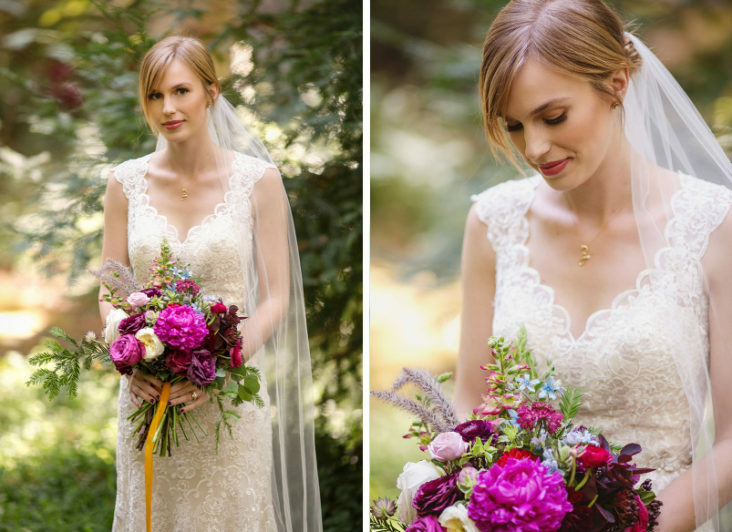 She spends her time painting, gardening, crafting and playing with flowers!